Since 2014 d'Reen now works at the Institute of Education, University of London where she in involved in the IoE Doctoral Programme, UCL ARENA Centre (Centre for Research-Based Education (formerly CALT) and as a Primary Lecturer in Teacher Education contributing to a range of routes into teaching. From Sept 2018 she will be the Module Lead for the PGCE Primary Specialisms. During 2017, d'Reen was also a working as a UCL-IoE Consultant to the University of South Wales, contributing to the Partnership Projects and setting up Action Research Circles in partner schools. A followup research conference was held on March 19th 2018. d'Reen is on teh BME Attainment working party at UCL, and is working on a resource bank for staff. d'Reen has been a Principal Lecturer in the School of Education since 2003. After successfully managing Schools Partnership for 7 years, she then held the remit for Training and Development, linked to partnership initiatives. This work involved facilitating the training and development of School-based Mentors /Coaches for the ITE Dept and the former West London Partnership EBITT. d'Reen also set up a number of Action Research Circles (ARCs) with schools as both an academic partner and research coach. Her work in Mentoring continues to be recognised by Kingston University; she is the trainer for the Mentoring programme for Staff run by the Equalities Unit, for BME and women staff since 2010/11. Birkbeck College, University of London, also draw on her training for their Athena Swan, Aurora and Trigger mentoring programmes. UCL- ARENA Centre has also involved her in Mentoring developments. She has supported various Charities eg STIR Educational Charity, visiting their Team in Uganda to QA training on behalf of Roehampton University. In February 2013 d’Reen was asked to Lead on Teacher Inquiry within Professional Practice Development as well as teaching on the MA and EdD programmes. This built on the former Partnership and Training and Development role in which she led new strategic developments to extend and promote partnerships, for example setting up Regional Cluster Managers (RCMs), Professional Learning Schools (PLS), School based mentoring, all supported with new Partnerhsip software which she institigated alongside ABYASA Software developers. Her role leading Teacher Inquiry built on the partnership work and further extended it in relation to Teaching School Alliances and Academies, and ITT partnership schools. Development work with School Mentors/coaches also remains a feature of this role, as colleagues in schools with these roles step up to take on more of a lead in ITT as it is based in schools. As an Academic Partner d’Reen has supported teachers in schools with their R&D projects, NCTL funded Research programmes, and latterly was seconded by South Farnham Teaching School to assist with the coordination of and writing up of the NCTL Assessment Research Project ‘Beyond levels’ 2014. Her doctorate was entitled: "Towards a pedagogical partnership with teachers: Professional Learning Schools and the challenges for a Schools Partnership Manager". which adopted Self-Study methodology. She was an active member of the Centre for Educational Research in Equalities, Policy, and Pedagogy CEREPP at Roehampton University. Additionally, d'Reen has held the role of the PPD Fund Manager, as well as the HEI coordinator for the Graduate Teacher Programme (GTP) and Overseas trained Teacher Programmes (OTTP) attached to the West London Partnership – an EBITT consortium consisting of Kingston, Roehampton and St Mary's College Universities. Trained originally at Waikato University, New Zealand, d'Reen has taught in NZ, Scotland and England, initially as a teacher and music educator. After her MA (Music Education) at the Institute of Education she worked there as a Part-time Education Tutor on the Professional Studies Programme for both Primary and Secondary PGCE courses. During these 7 years d'Reen also managed a research project at Reading University evaluating the development of software for music education. 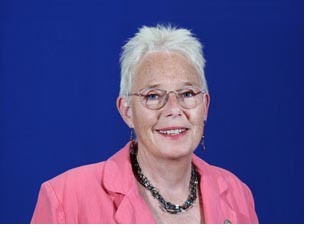 She also wrote songs and co-produced audio tapes to accompany 2 publications for 'Interaction' an Educational Charity specialising in work with children with SEN. From 1987 she was based at Middlesex University in the School of Education, as a Senior Lecturer, becoming Programme Leader of the Licensed Teacher Scheme from January 1995. In January 1998 she returned to New Zealand to coordinate a Graduate Diploma course for Secondary teachers at Auckland Institute of Technology. When this institution restructured, she returned to full-time teaching in 2000 at Westmere Primary school, Auckland (F/KS1). In March 2002 d'Reen returned to London. Initially at Park View Academy, d'Reen held the pastoral post of Head of Year 7, managing the primary-secondary transfer of pupils for that and the following year and teaching ICT and Business Studies. She joined Roehampton University in September 2003 as Principal Lecturer - Collaborative Partnership. Her work at Roehampton ended due to restructuring in July 2014.